Alistair Cook akiwa katika kilele cha Mlima mrefu kuliko yote Afrika, Kilimanjaro, wiki iliyopita muda mfupi baadaye aliaga dunia kutokana na tatizo la moyo. 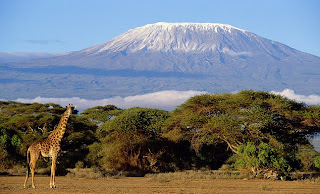 Ni jambo la kusikitisha kwa sababu mzee huyo alipanda Mlima Kilimanjaro wakati akijiandaa kusheherekea kutimiza umri wa miaka 70. Muda mfupi baada ya kupiga hiyo picha ya hapo juu alimtumia mkewe Vicky ujumbe mfupi wa simu ya mkononi (SMS) kumfahamisha kuwa alikuwa amefurahi kufika kileleni, lakini alikuwa amechoka sana. Ameacha mjane na watoto watatu. 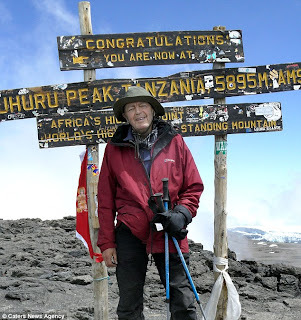 A father dropped dead on the slopes of Mount Kilimanjaro just minutes after texting his wife telling her he was 'exhausted but so happy' to reach the top. 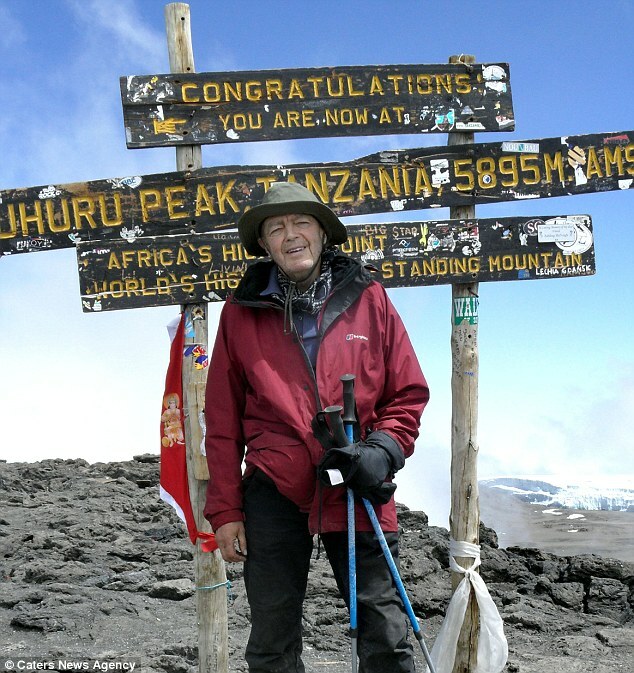 It had been a lifetime dream of Alistair Cook's to tackle the summit of Africa's highest peak ahead of his 70th birthday, which he would have celebrated on Monday. But just minutes after reaching the summit, he suffered a heart attack and died. Just before his death Mr Cook sent his wife of three years, Vicky, a text message expressing his delight at his achievement. Speaking from the home the couple shared in Leicestershire, Mrs Cook said: 'When he got to the top he said he was exhausted but happy, he was ecstatic at reaching it. Father-of-three Mr Cook had trained for about 18 months for the climb, and walked near his home every morning. 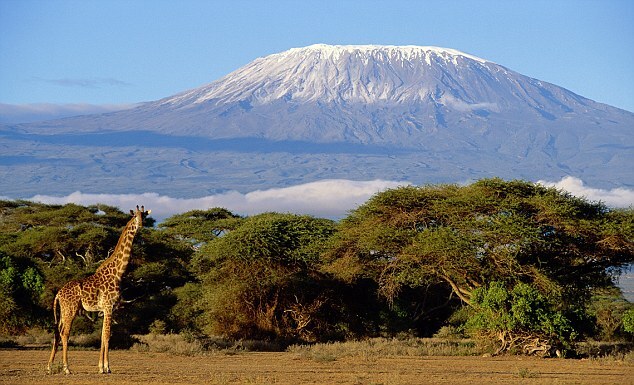 Her husband undertook the trek with four other climbers as part of a trip organised by Team Kilimanjaro, a company which specialises in climbing holidays on the mountain. The tragedy happened only two hours into the group's descent on September 11. Mr Cook had lived in Leicestershire for more than 40 years and originally worked as an engineer. In 1977 he founded framing company Framers Corner, in Bardon, near Coalville, of which he was managing director. His three children, Richard, 41, Alex, 38, and Samantha, 36, all work at Framers Corner. Richard, who is general manager, said his father was a man who 'never stopped'.